My passion for cooking started at a very young age – fueled by watching cook shows and browsing through cookbooks. My mother’s cooking skills and father’s desire for eating good food inspired me to learn good cooking. Finding out about food and trying new recipes was always fun and exciting. I cherish memories of “Saturday cookout session” back home in Nepal, which was also called “meat day”, where meat is usually served on weekends. 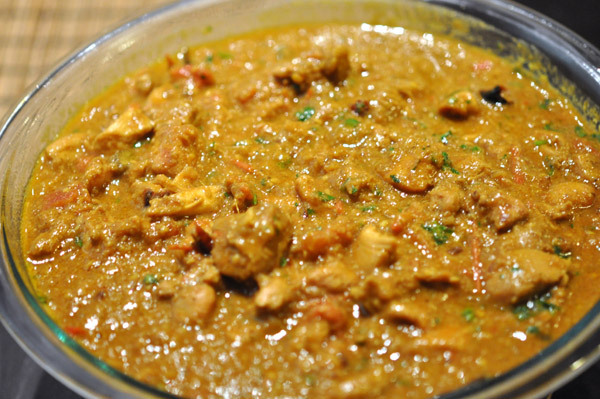 Chicken curry used to be one of the most common dishes during those weekends. 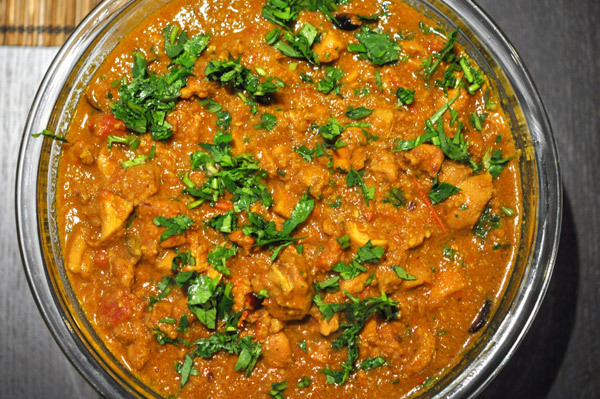 Every time I cooked a chicken curry, I always found there were new ways to prepare it. The chicken dishes came out perfect every time albeit with a new taste and style. Last month, I made ‘spicy chicken curry’ dish for a friend’s surprise birthday dinner party. I was flattered when the chicken dish got so much attention. People complimented me on its deliciousness and on my wonderful culinary skills. The funny thing is that my spicy chicken dish is simple to prepare. All you do is put in the correct amount of ingredients and it’s done. “Spicy chicken curry” in the menu was set in stone when another friend voiced his wish of having an authentic Nepali meal for the dinner. 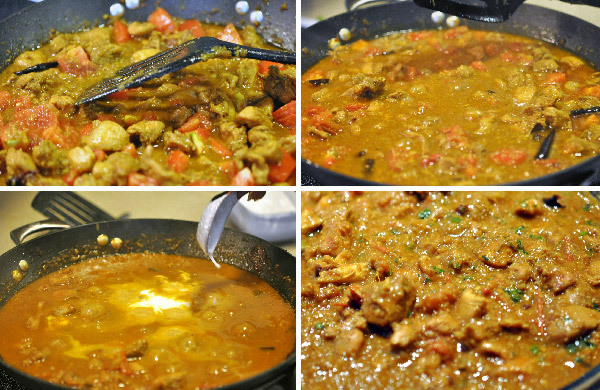 I gathered ideas from other people on how they prepared their version of spicy chicken curry. In the end, I created a new spicy chicken curry recipe that was a true amalgamated mishmash of all the recipes that I collected. I think chicken curry came out perfect, and my friend for whom the surprise dinner was set seconds my vote! 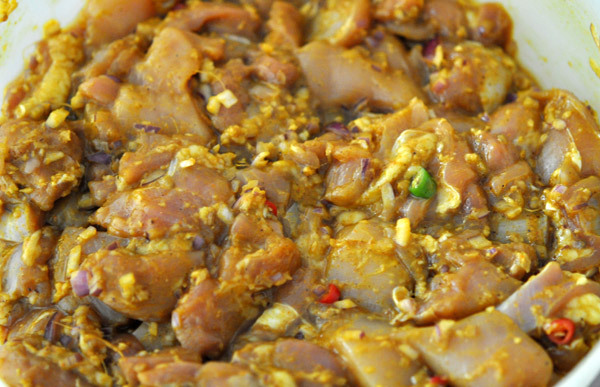 Marinate chicken pieces in chili, turmeric and black pepper powder, salt, ½ teaspoon oil, soya sauce, ginger/garlic paste and onion for 30 minutes. 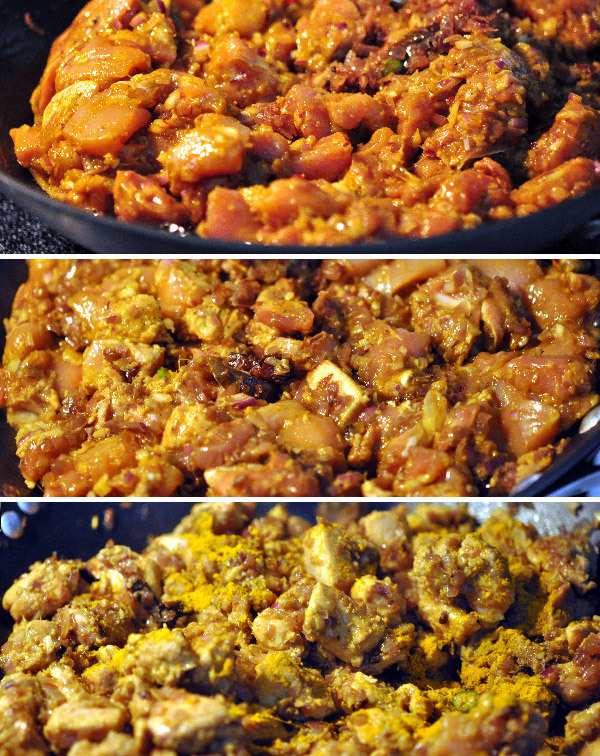 The key ingredient in the chicken curry recipe is choosing a boneless and skinless thigh meat. Don’t substitute with chicken breast. According to USDA, chicken breast and chicken thighs have similar calories, but the chicken thigh has about one third more fats. Red meat of chicken thighs is more flavorful and well suited for chicken curry. It won’t turn into dry and chewy chicken, which is often the case when you use chicken breast meat. 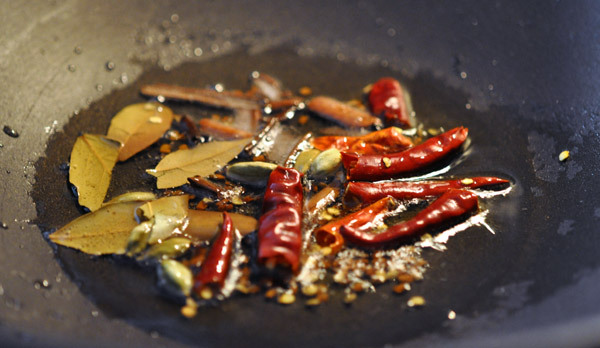 While the chicken pieces are being marinated, heat 1½ tablespoons of oil in your choice of cooking vessel. 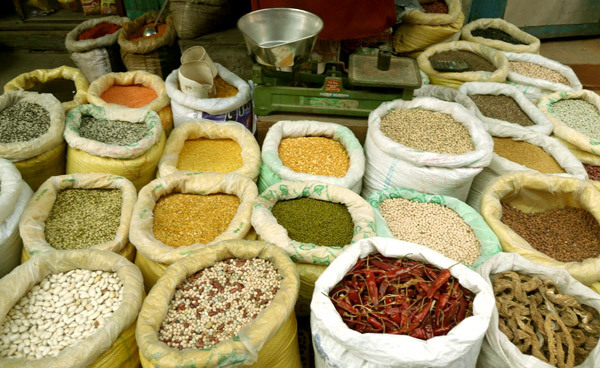 Add fenugreek seeds, cinnamon, cardamom, cloves and curry leaves and red chilies. 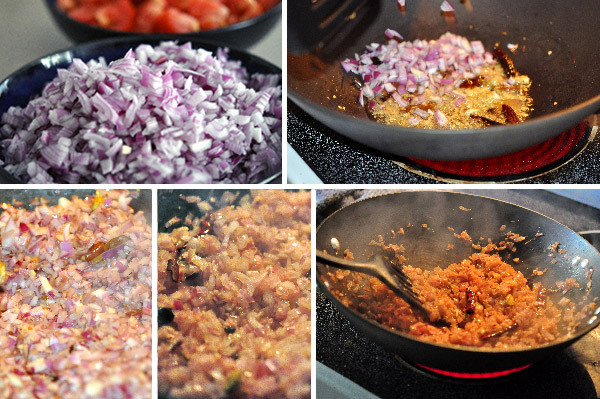 Add the finely chopped onions and sauté until brown with a pinch of salt. Add ginger/garlic paste and sauté further for another 3 to 4 minutes on medium heat. Add the marinated chicken and cook on high heat for 10 minutes, reduce the heat and cook covered for another 15 minutes. Add coriander powder, cumin, pepper powder and combine well and simmer for another minute. Add the tomatoes and let it cook for 3 to 4 minutes and mix well. Simmer until a layer of oil separates from the chicken sauce. Add any curry powder and mix well. Add a cup of water to adjust consistency of gravy. Cook until chicken pieces are soft and you get the desired consistency for sauce. Don’t forget to adjust salt. Add 2 tablespoons of coconut milk that thickens the gravy. It was perhaps one of the best chicken curry I ever had. I usually never try to recreate a dish. This was an exception. It was so good that I made it the following week for my sister and cousin. They both loved it. This looks absolutely amazing. Thanks so much for sharing the recipe with us. I’ll let you know how mine turns out. @Kristin, it tasted amazing as well. Let us know how yours turns out! Thanks for sharing the recipe. It turned out delicious!! !